In collaboration with Share the River, the Port of Cleveland, and Nalu Standup Paddle & Surf's Paddle and Pints, Surfrider-Lake Erie is hosting a clean-up on the Cuyahoga River There are opportunities to help with the clean up from your board or kayak or on land. We will have a quick meeting before we head out for our clean up. Our goal is to clean up the river and the green space between the Carter Rd. Bridge and Merwin's Wharf/Cleveland Rowing Foundation before the Head of the Cuyahoga Regatta on September 15. There will be teams traveling from nine states including Michigan, New York and Indiana to this major recreational event. We will have buckets, bags and gloves. We encourage you to bring your own gloves, nets, or any other device to help pick up the trash from the water. 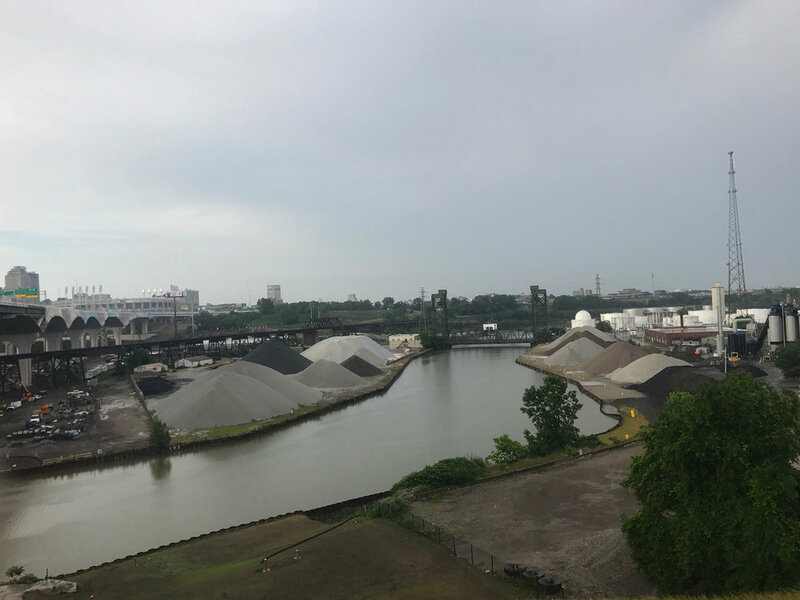 Our first annual Burning River Ramble is a fun, no fee, 4.8 mile running/walking tour of Cleveland's evolving waterfront on the June 22 anniversary of the 1969 Cuyahoga River fire. The route (still in progress) is designed to connect property segments that have either recently changed to a park/paved path or are being considered for such (Irishtown Bend). Our hope for the Ramble's iconic route is to physically connect people to the great things happening along Cleveland's Cuyahoga River. The Burning River Ramble will start near the Columbus Road Bridge and finish between the Cleveland Foundation Boathouse and Cleveland Metropark's Merwin's Wharf. Ramble participants can then enjoy food/drinks at Merwin's Wharf, Hoopples, Sainato's Pizza/Rivergate Tavern or Brick & Barrel Brewing (the Ramble's official post-Ramble hydration location!). We're pleased to be partnering with Run Wild CLE on the Burning River Ramble and we look forward to seeing you on June 22! Invite your friends as the more the merrier! Here's the Facebook Invite https://www.facebook.com/events/214919659018963/. Ramble Route Note: Our addition of the north segment of the Cleveland Foundation Centennial Lake Link Trail adds about a mile to the Ramble route. Ramble participants looking to shorten their effort can simply cut that segment out of their route! Still on the fence? Here's a POV look at the Burning River Ramble route! A week before the Ramble some friends did a dry run of the route to help us spot potential gaps in our signage/volunteer coverage. By all accounts they had a fun time (even if they got a little wet) and several said "That's a fun course! We had no idea some of this was out here!"